This game is based on the novel by H.P. Lovecraft. Dark Mysteries: The Soul Keeper features a dark mysterious story that fits the genre of hidden object puzzle adventure games perfectly. The game's graphics and gameplay go hand in hand with the story creating a truly creepy atmosphere. The graphics are beautifuly drawn, but the scenes with the dead bodies might be a bit too much. You are summoned to this island where an evil spirit is murdering people. The souls of the people are a way to be immortal for the spirit. You need to stop this before it is too late for the citizens and you. The game's audio-visual presentaion is quite decent. The graphics are beautifuly drawn, but the scenes with the dead bodies might be a bit too much. The music and sounds are great and add to the atmosphere a lot. 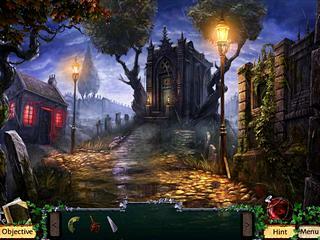 The game features a great number of hidden object levels. They are clutered scenes with some interaction required to complete them. There are also puzzles that are quite easy to solve. Nevertheless, it was fun to play them too. 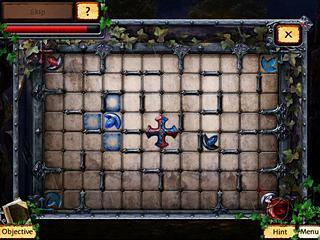 The hint system works for the hidden object levels and for the rest of the game too. There's some bonus content, like Concept Art, Bonus Chapter, Behind the Scenes and an e-book. The game is developed pretty good. You should try the free version and see if it's worthy of your money. Just ate at Jui Thai Asian Cafe at 787 Bethel Road (the former ltcooian of Lilly's) and they had a very interesting menu with none of the typical lunch special dishes. I had the Delicious Pork Cake ($3, very tasty) and the Hot Pot ($6) which had noodles, bok choi, napa, luncheon meat, quail egg, bean skin, and fish ball. The hot pot was saltier and more oily than I anticipated, but was delicious all the same. I plan to return with my family next week to try more dishes. This is Dark Mysteries: The Soul Keeper review. Download this game here.